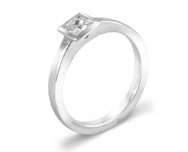 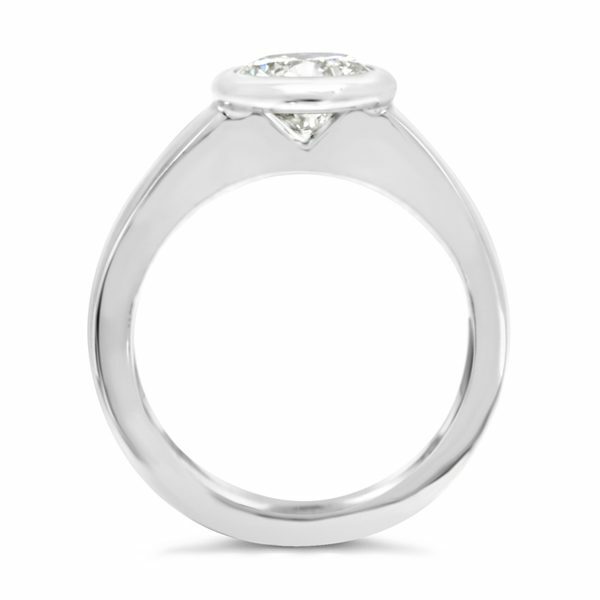 Halo Set Modern Engagement Rings: A platinum ring with a halo setting for an FVS2 GIA certified princess cut diamond or 0.45ct round brilliant cut diamond. 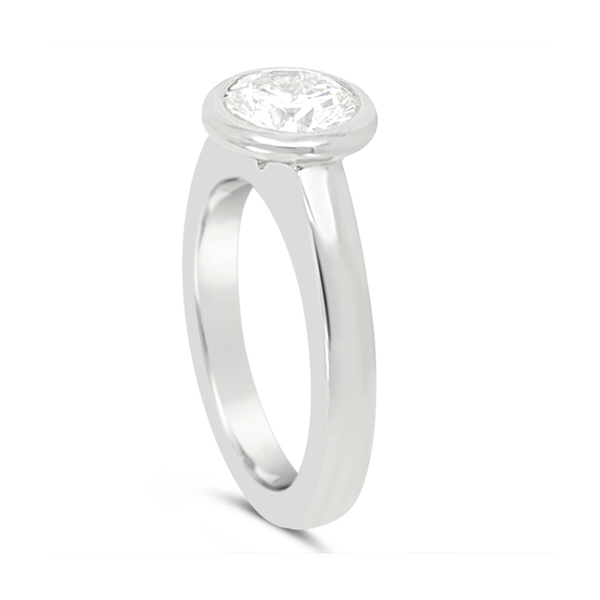 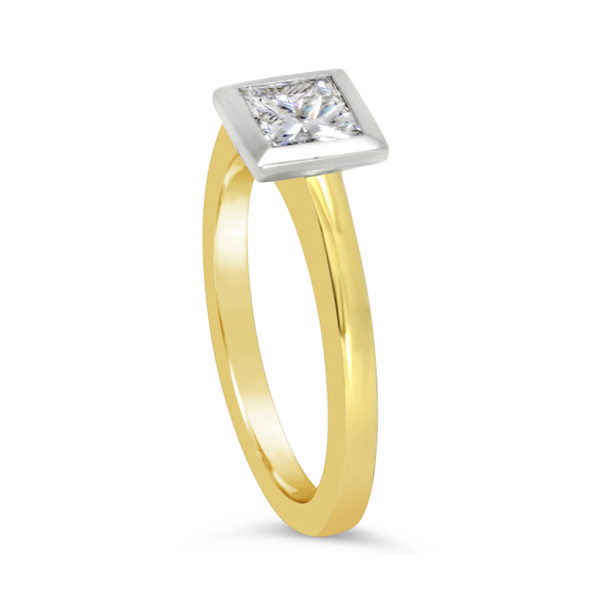 The construction of this ring gives the sleek look of a rubover setting yet leaves the underneath of the diamond exposed to view. 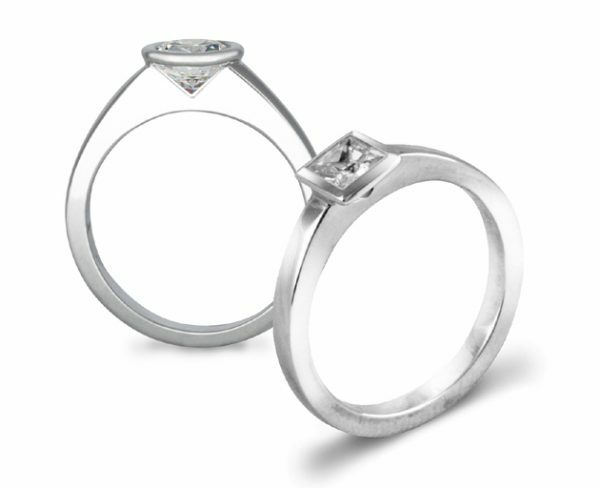 It also allows the wedding band to sit flush up against it with the diamond spreading out over it. Unusual and elegant.